URBANA, IL -- An Illinois prosecutor says she will not file charges against a man whose flag-burning protest led to his arrest on Independence Day. 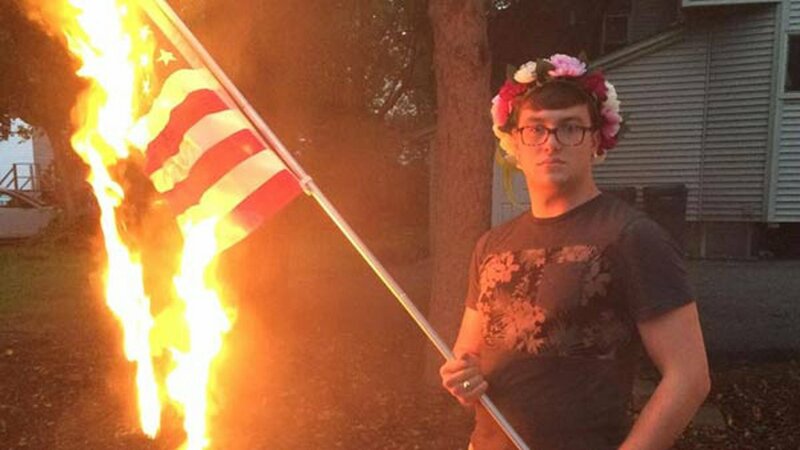 Pictures posted on Mellott's Facebook page over the weekend showed him holding a burning American flag. He wrote that he's "not proud to be an American." The message also mentions "atrocities" committed against people of color, those in poverty, women and the LGBT community. The message appears to have been removed, but a picture remains.